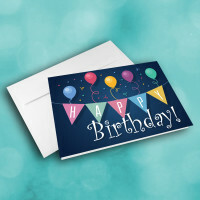 Make someone's special day even more special with this exciting birthday card. 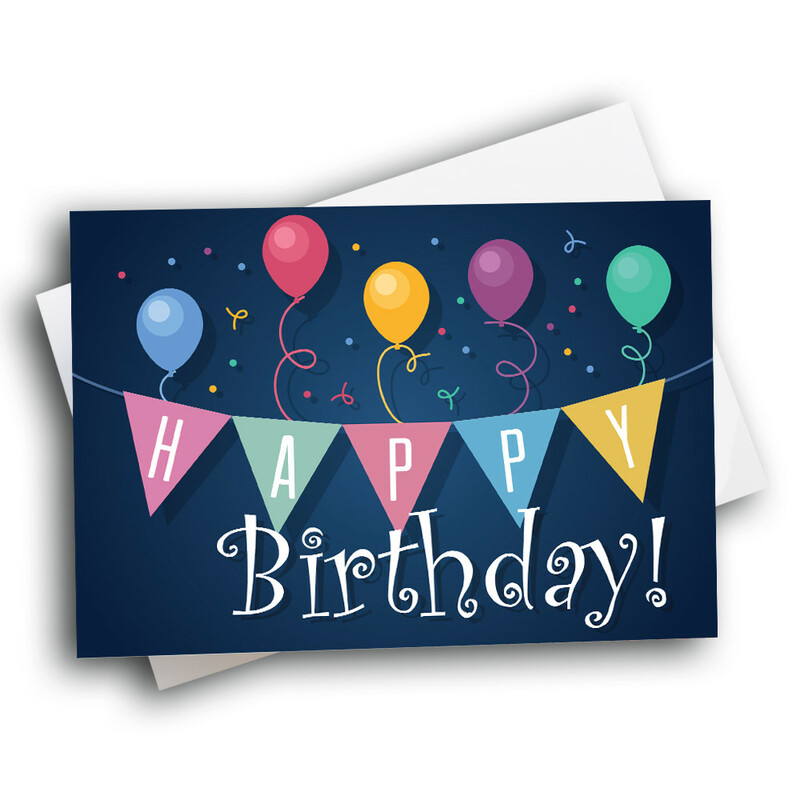 Send your birthday wishes with this artsy bday card. 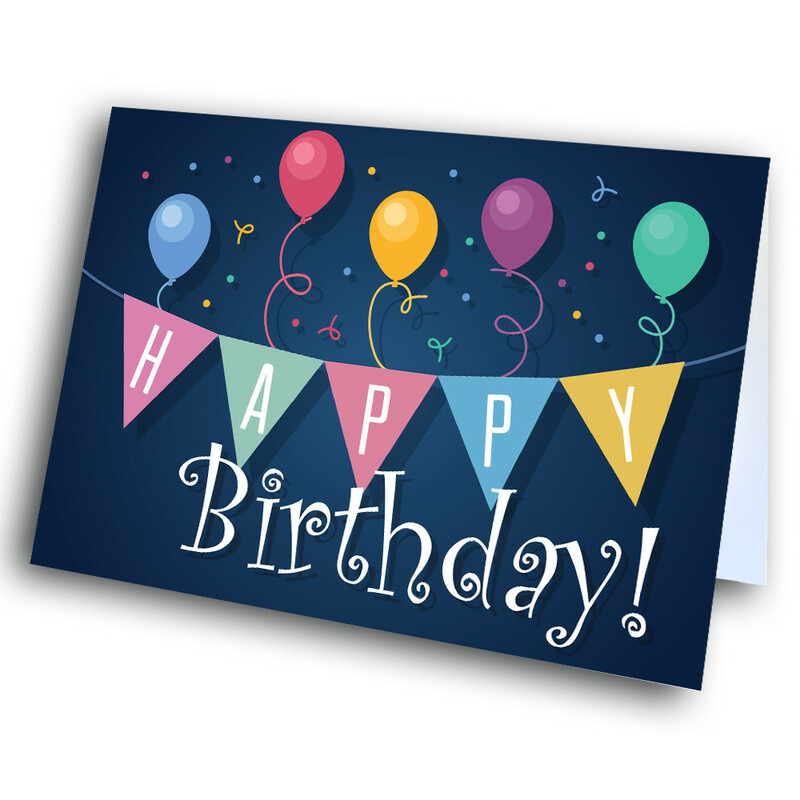 The front is adorned with a greeting, artfully integrated into a banner. 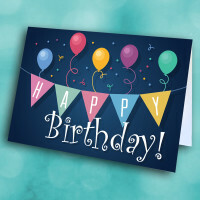 The top is dotted with confetti and colorful balloons, set against a deep blue background. 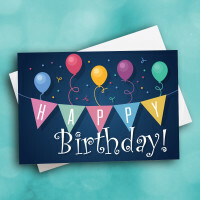 It's a fun and festive birthday card. 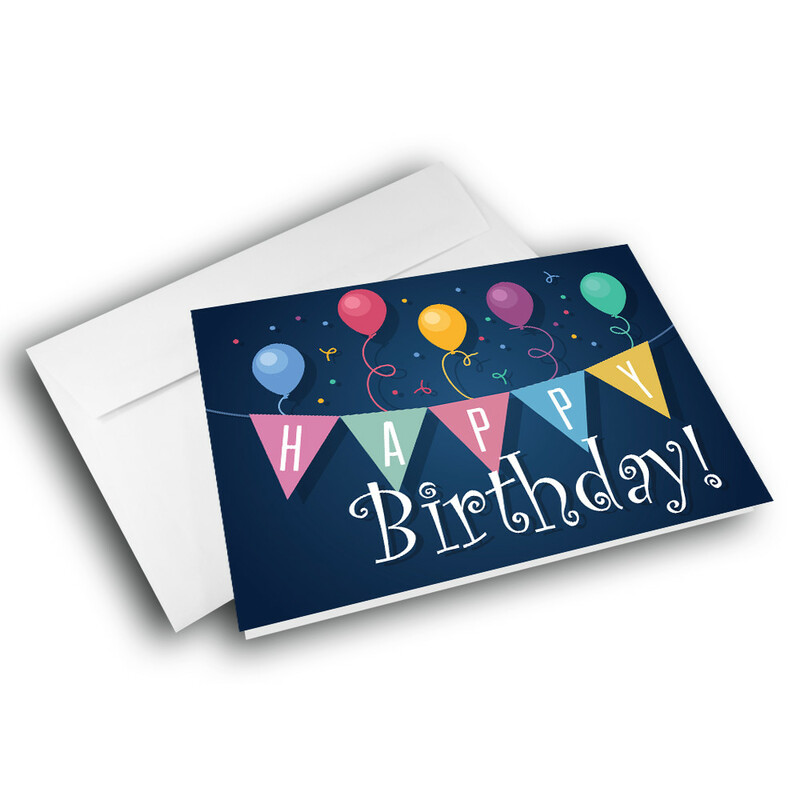 Customize the message inside to give this birthday card a personal touch.